Why Is My Credit Score Used When My Insurance is Quoted? – Hermitage TN | Bush Insurance & Financial Services, Inc.
You may consider it standard procedure here in Nashville that you are asked for your social security number when you ask for quotes on your home or auto insurance. What you might not know is that having your good credit score, which directly influences the insurance score insurance companies use to rate your insurance, can really save you money! 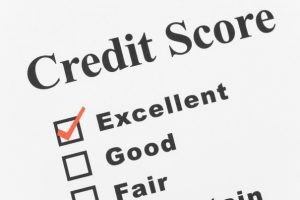 An insurance score is derived from your credit report, but it is not the same as your credit score. Your credit score shows how reliably you pay your bills, but what does your insurance score reveal about you? Studies at both the state and federal levels, as well as by insurance companies, have shown that your good insurance score accurately predicts that you will have few claims, and that the claims you do experience are likely to be smaller losses! You have just proven yourself as someone who should earn lower insurance rates. The Federal Trade Commission considers insurance scores a reliable way for qualifying consumers to pay lower insurance premiums. So what are some excellent ways to make sure you have a good insurance score, and save yourself money on insurance premiums? Just as you do to keep your credit score high, make sure you pay your bills on time and avoid any collections or bankruptcy situations. Regular credit card and mortgage payments will positively affect your insurance score. Be cautious in the frequency with which you open new accounts on credit, such as when buying furniture or a new car. Opening one credit card may not cause an issue with your credit-based insurance score, but opening several lines of credit, in a short period of time, will have an effect on your score. At Bush Insurance, we are happy to explain further easy strategies for earning discounts on your insurance premiums. Give us a call, or use our easy online rater to instantly obtain a quote on your home or auto insurance.